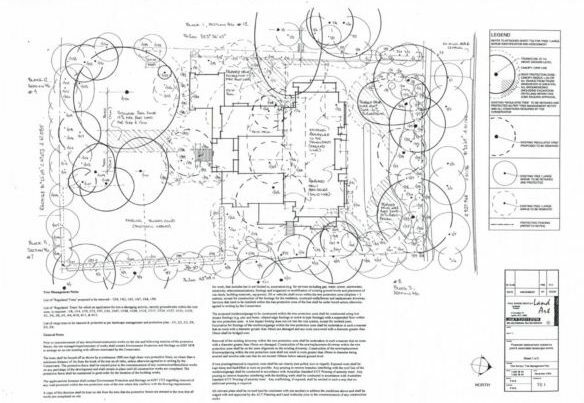 Creating a landscape plan is at the heart of the services Land Art provides. Whether it is sketching some ideas on site, or producing a full set of documents, we can arrive at a solution to meet your needs. The typical plan service begins with a detailed site survey stage, I’ll advise whether we need a detail survey by a surveyor or whether it’s enough for me to measure up the site. Location of existing structures, block & easement information, plantings, levels and taking photos is all a part of this service. If required I can produce a full tree survey that can be used for development approval, or just as a usefull base for maintenance of an existing landscape. The next step is a concept / preliminary landscape plan or plans. We can explore a single or multiple options & provide cost estimation for the proposed works. 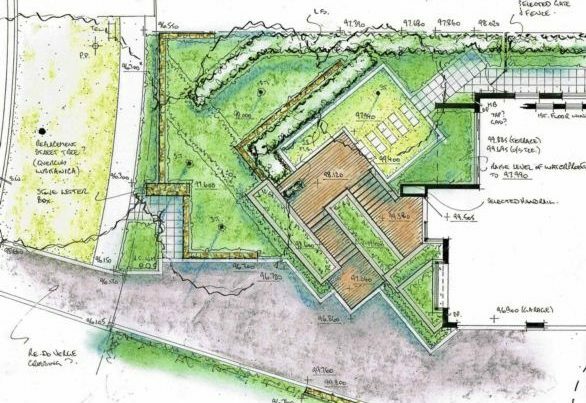 A plan covers the hardworks such as walls, steps, paving, & structures as well as the softworks such as grassing & garden beds. Plant suggestions are included at this stage. Sometimes this might be as far as we need to go. If required we can develope the plan further, making changes, & refining details. 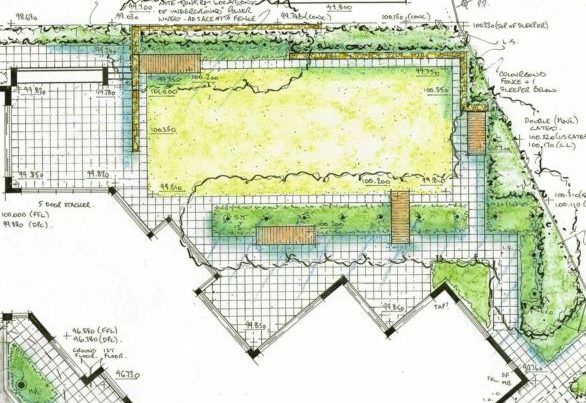 The planting can be fully specified, special detailing provided, & a bill of quantities produced (usefull for purchasing materials or allowing consistency for quotting). Whether you require a plan that you can develop up yourself or a plan that we can pass on to a landscaper for quotting & construction, we can tailor something to suit.